Earlier this fall Susan and I managed to put aside chores and house projects for a day to take a short excursion to Arizona’s “wine country” near the towns of Sonoita and Elgin, south of Tucson. We hadn’t really thought of arid Arizona as a wine region, but after hearing rave reviews from several guests, we decided it was time to check it out for ourselves. After all, our other hometown of Woodinville, WA is at the epicenter of Washington State’s booming wine culture, so we were especially curious about this Southern Arizona wine region we’d been hearing about. Being just 76 miles from the house, Sonoita-Elgin is an easy day trip which alleviates the need to get up and out the door early. 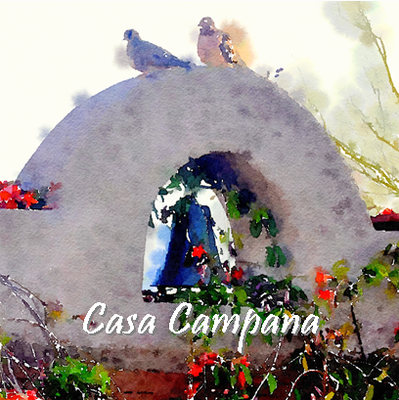 We find it’s always tough to tear ourselves away from the serenity of our little oasis at Casa Campana, but a relaxed late morning departure and mid-afternoon return made for an easy, pleasant day. What we found was a thriving little wine community where Arizona’s winemakers have succeeded in matching interesting grape varietals and unique growing practices with the state’s arid climate. As a result, Arizona is successfully producing many different varieties of great wine. It does help that the Sonoita-Elgin area is at a higher elevation and far less desert-like than the greater Tucson area. ** INSIDER TIP ** - We didn’t see many restaurants in the area, so take along some snacks or a picnic lunch. The vineyard tasting rooms have beverages and a few packaged foods for purchase but don’t offer much in the way of sit-down lunch options. As an alternative, most do have pleasant outdoor seating areas that are perfect for enjoying a picnic right alongside the grapevines - which is encouraged by the vineyards. 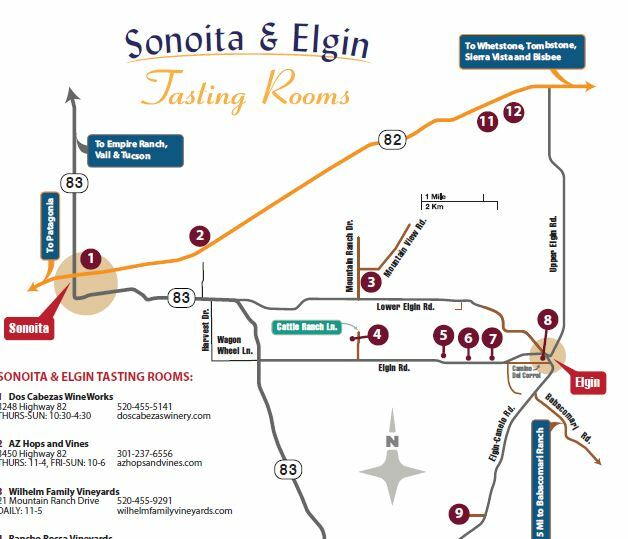 Although there are an impressive 13 tasting rooms in the Sonoita & Elgin region (see map), we narrowed our first visit to a manageable three stops at: Flying Leap Vineyard & Distillery, Callaghan Vineyards, and Sonoita Vineyards. All three were pouring a large selection of wines in an easy going, friendly atmosphere, so even wine ‘newbies’ shouldn’t shy away from giving it a go. One thing we noted right away was the diversity of grapes being used in Arizona wines. Petit Syrah, Grenache, Riesling, and Viognier were not surprising, however, innovative blends using Marsanne, Roussane, Malvasia and Gruner Veltliner (never heard of them!) are also emerging from these pioneering winemakers. Even mature palates will be impressed. We appreciated the good natured, informative approach of each of the wine stewards we met including Kelly at Flying Leap (not sure, but he may also be a stand-up comic! ), Joe at Sonoita Vineyards (the Southern AZ winery that started it all back in 1983), and Kent and Lisa Callaghan at Callaghan Vineyards who were personally hosting tastings the day of our visit. A highlight for Susan was meeting ‘Kiva’, the Callaghan’s somewhat ambivalent Wheaton Terrier. Susan desperately wanted to be Kiva’s new best friend with little success until a small piece of salami (with Lisa Callaghan’s approval of course) turned their whole relationship around! It was no easy decision, but if judged by our final bottle purchases, the winner was … Callaghan Vineyards “Padres” Red Blend (2012 vintage) . It is a full-bodied wine made from 60% Tempranillo, 30% Grenache, and 10% Syrah and was our clear favorite. 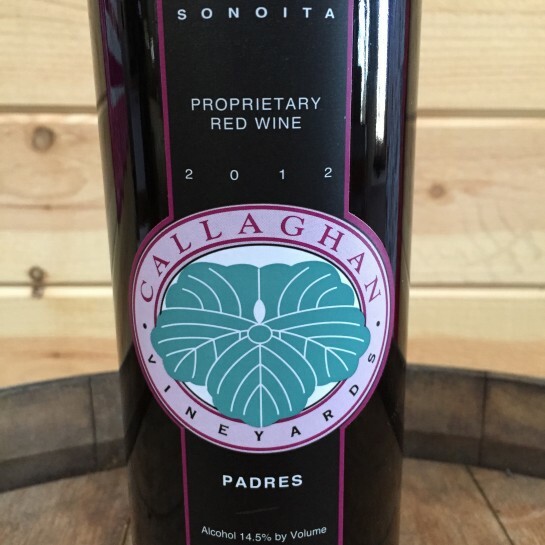 The success of the Callaghan’s Padres selection isn’t surprising since all three of the blend’s varietals are also widely planted in Spain and ripen best in hot, dry conditions… Sound familiar? 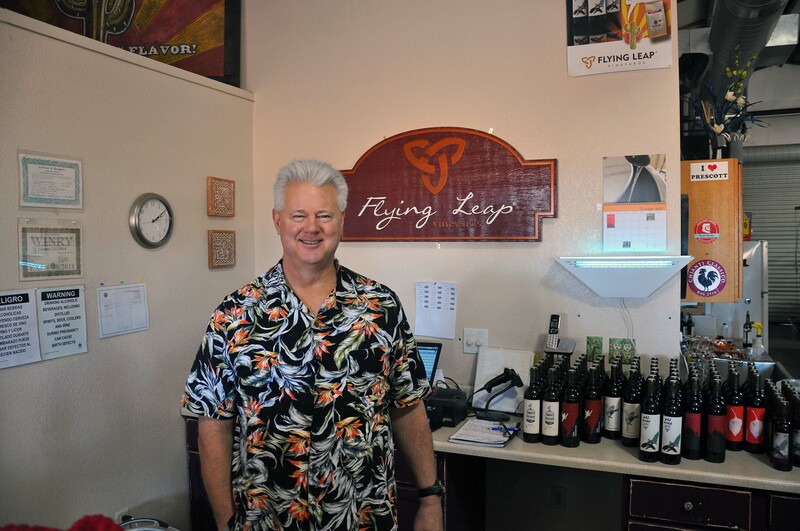 While Padres was the winner for Best Wine, Flying Leap Vineyards won for “Most Interesting Wine” with their take on a truly unique, local creation combining red wine with the Habanero pepper. While some may cringe at the thought (you’re doing it right now, aren’t you?! 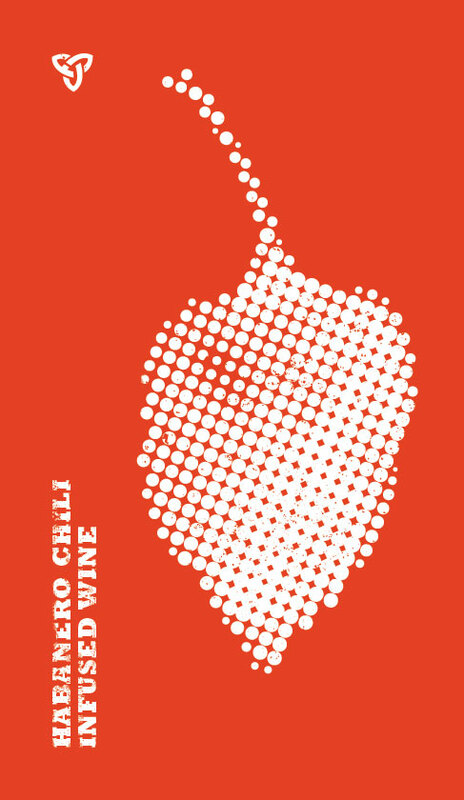 ), the wine is actually a very pleasant Grenache infused with locally grown Habanero peppers for a bit of a spicy kick in the finish. The heat isn’t overpowering or even that noticeable up-front. It’s usually included in Flying Leap’s tasting flight, but if not, ask for a sip. You won’t regret it. We had a great day and are definitely looking forward to going back to check out a few more vineyards soon. We only have ten more to go! While not required or expected, please consider purchasing a bottle or two during your visit to wine country. It will go great with a special dinner or sunset cocktail hour back at ‘the Casa’, and support the hard working Sonoita-Elgin wine community. Anyone with even a mild interest in wine will enjoy the tasting room experience, picnicking alongside the vineyards on a beautiful Arizona afternoon, and bringing back a few local treasures to enjoy back at ‘the Casa’. ** INSIDER TIP ** - You may see some interesting animals in the fields surrounding the vineyards. 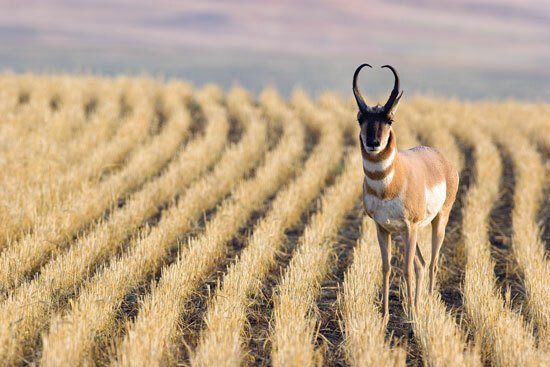 The Sonoita-Elgin area is home to a thriving herd of approximately 300 Pronghorn Antelope. Pronghorns are the fastest land animal in North America capable of running up to 60 mph. Worldwide they are second in speed only to the Cheetah.